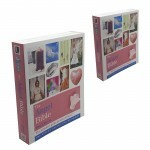 By using this insightful and practical reference book, you will discover how to work with angels to ..
Two For One Crystal Bible V3The Crystal Bible Volume 3 by Judy Hall. Over 250 new-generation stones .. The crystal bible volume 2 by judy hallThis is Volume 2 of The Crystal Bible by Judy Hall. This book.. 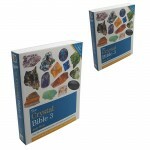 The crystal bible volume 3The Crystal Bible Volume 3 by Judy Hall. Over 250 new-generation stones fo..